Speaking with confidence is the first requirement for being an Officer. This is the point where your communication skills and confidence matters. 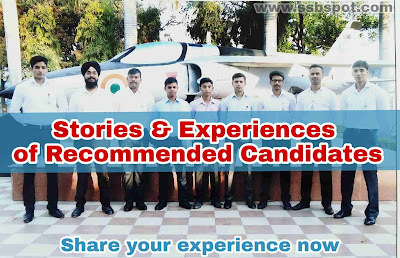 As we know SSB pattern is framed to check entire personality traits of the candidates. 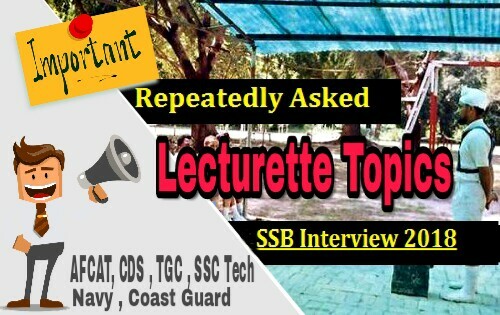 One of them is Lecturette which is for checking the ability of the candidates to speak out confidently in front of others. The test is scheduled either on the GTO 1 or GTO 2 day. The candidates are given a card having 4 topics. The candidates are given 3 minutes to prepare his lecture on any of the topics and then deliver the lecture for next 3 minutes. while 1 candidate starts his/her lecture next candidate will be sent to a distance so that he/she can prepare without any disturbance. After 3 minutes GTO will ring a bell and you handover your card to him and now you can start your lecture addressing candidates of your group (not to GTO). Make a frame of points during the preparation time and cover them sequentially during Lecture. Cyber Crime - How to tackle it? Smartphones Addiction - Latest trend or Harmful device ? Why Crime is increasing in our society? Is Aadhar card a boost to Digital India initiative? How Scientific inventions have changed our lives?